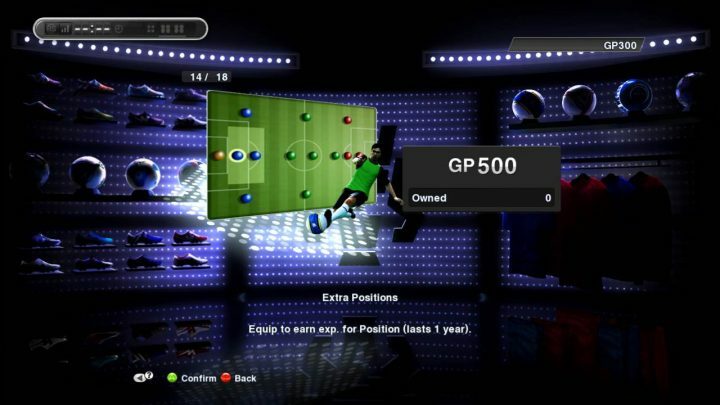 There are many things to do when you begin a Master League mode in PES 2013. If you are just starting out with a new team, this post will serve as a handy quick-start guide. 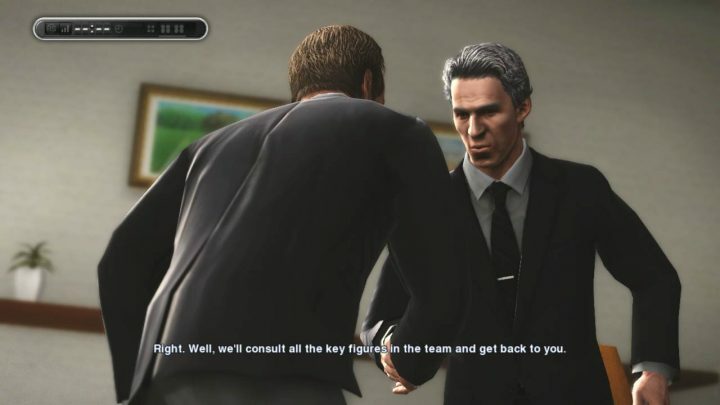 PES 2013 Master League mode starts off with a mini-movie, with some dude, probably your agent, promoting you to the club’s director/senior management. You then can choose your name, appearance, and team. If you wish to use real players, choose the Club Team Lineup. Once everything is done, your agent shakes the hand of the director, and you are hired. You are then unveiled to the press. Tell them you are the ‘Special One’ ? 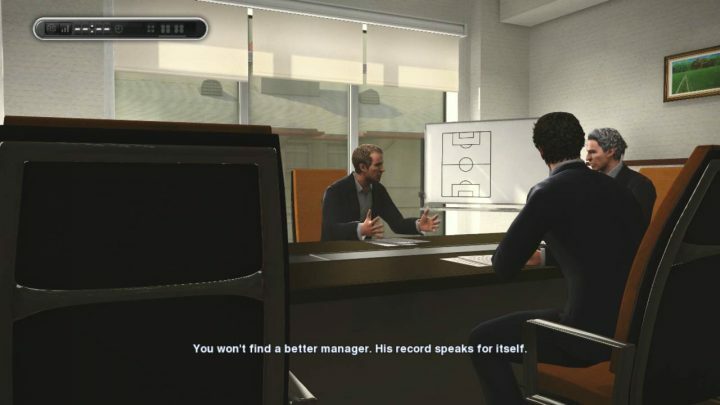 After meeting your secretary and talking to your team, you can get things going in Master League. The first thing to do is to go to your game plan, under My Team -> Game Plan. 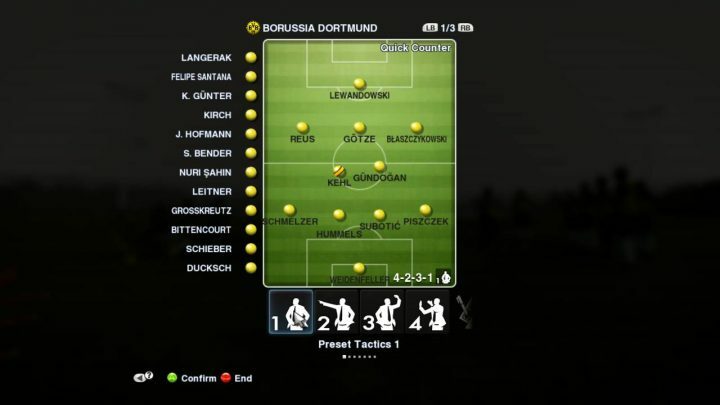 Preset 4 formations and other tactical options such that you don’t have to do that before every match. Also, ensure that the first 7 substitutes on the left consists of players across all positions. Next, under My Team -> Squad List, you can look through all your players, and place them on the transfer list if required. In My Team -> Training, you can adjust how much focus you wish to put into each aspect of your team. The amount of focus points will depend on the coach you hire. This will be mentioned again later in this post. As the season progress, you may gain additional points too. Personally, I will focus on the aspect my team is weak in. Under Items -> Shop, you can use points to purchase items to aid your training. I do not use this option as I find this unrealistic. Your players may become too good for your opponents over time and this kills the game. 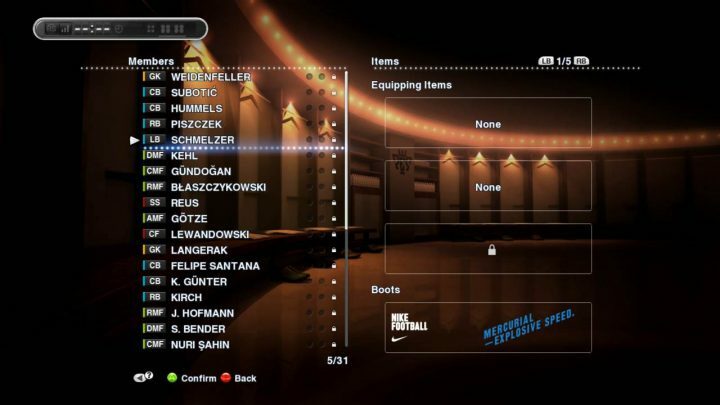 In Items -> Item List -> Boots, you can equip boots you unlocked to players in your team. 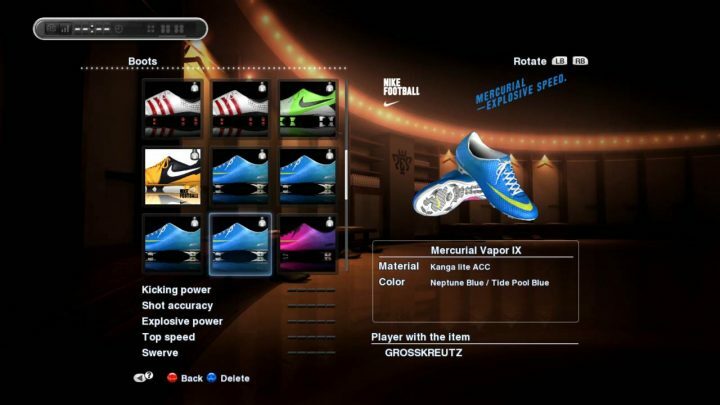 Boots will be unlocked as you progress in Master League, and equipping them to your players will give them a stats boost. I use a patch to disable this feature, thus the boots in my game are just for aesthetic purpose. Now is time to buy players. 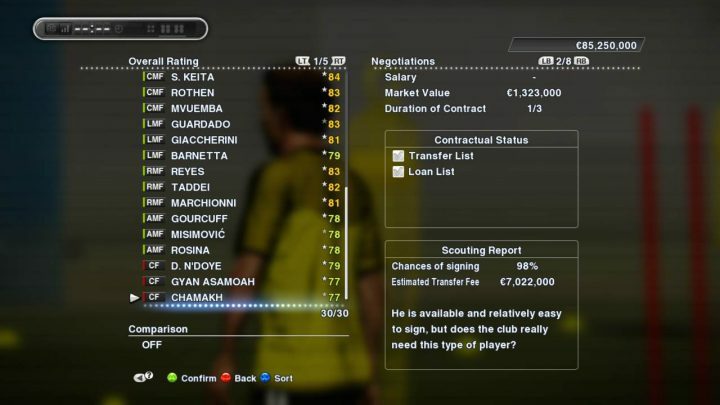 Head to Negotiations -> List of Targets to find players which can be purchased easily. In this list, the Chances of signing (in the Scouting Report on the right) will be close to 100%, making it very easy to sign. You can identify players and add them to a shortlist, accessible via Negotiations -> Favourites. Use Negotiations -> Advance Search to set specific parameters to find your ideal players. When scrolling through the list, keep an eye on the ‘Chance of Signing’ and make an offer if it is 80% or higher. Generally, I find that Side Backs are easier to sign than players in other positions. You can also try bidding for players with a low level of affection towards their team, pressing R2/RT in the players list. 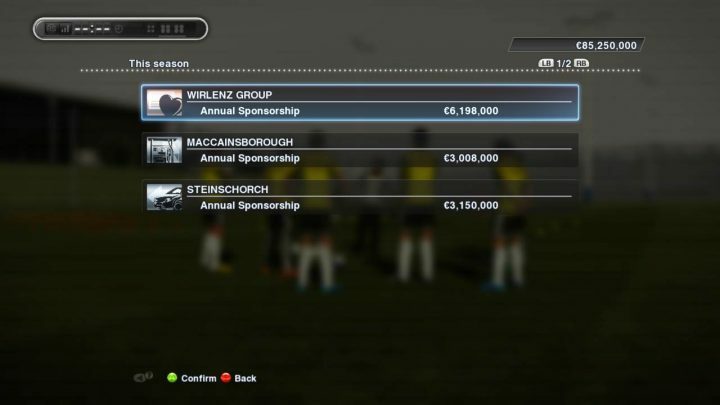 Take a look at your team’s sponsors in Finances -> Sponsors List. There is nothing much you can do here. The number of sponsors will grow as your team wins trophies. Choose your backroom staff in Finances -> Hire Staff. Ideally, choose the staff on a 5 million salary if you can afford it. Sometimes, there are more than 1 staff on that salary, thus choose one that fits your needs. I prefer this guy over the other as he is more well-balanced, though he has less focus points to spend in training. Players’ form are very important, to ensure they are at least on a green arrow for majority of the match. For Athletic trainer, I will choose this guy over the other. Your choice of scout depends on your transfer strategy. If you adopt the style of Bayern Munich and likes to purchase top players from domestic rival, this scout will fit your needs very well. 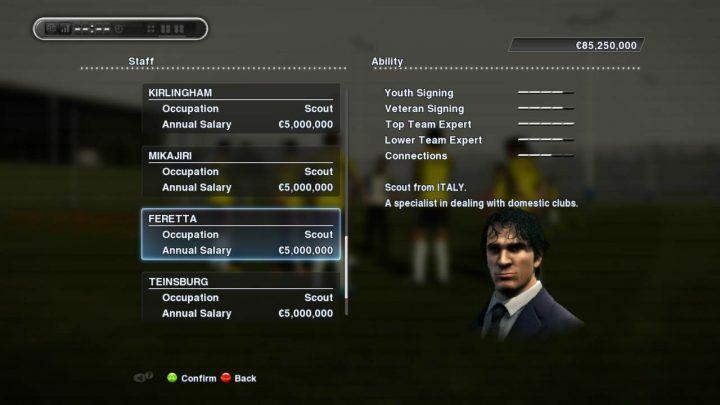 There are scouts that specialise in young players, or foreign teams as well. 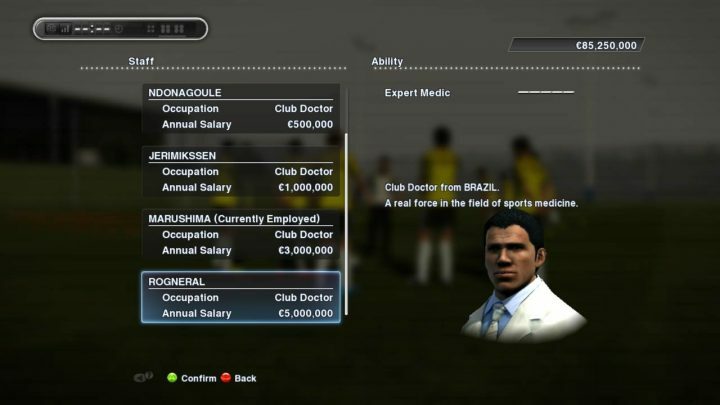 Although players seldom gets injured, I will hire the best doctor. 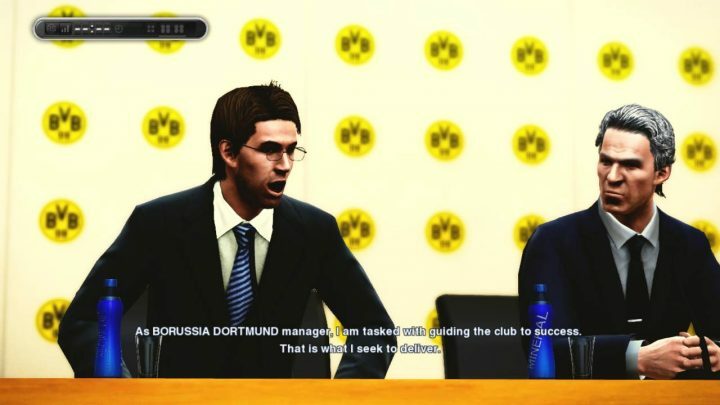 And that is basically all about starting a new Master League in PES 2013. If you are ever bored of your appearance, go to System -> Appearance Settings and give yourself a new hairstyle! I hope you find this guide useful, and have fun in PES Master League! what patches did you used to disable the black boots? I am afraid you can’t change clubs in Master League. This has been an issue troubling many pes fans over the years. I use PES Edit patches. Hi Alan, I find that if I play the players on sale for a number of games, they are more likely to attract suitors. Would you call it unrealistic if I used the shop to teach my players new positions and skill cards. If so could you explain why ? Oh, I guess since this is a game we can do whatever we want to our players? Felt that Konami wish to incorporate an RPG feel into the game by having the shop to ‘increase the level’ of your players. 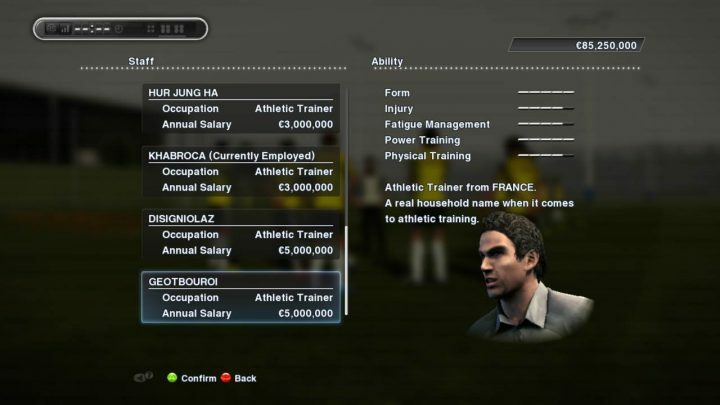 I used to teach my players new position and skills in previous PES versions but no longer do so in PES 2013 as it is a long process and by the time the training is completed I might have sold the player off, haha. 1. How do we relate the team constructs, i.e, off, def, tac, spd, tech & phy with the training disciplines, i.e, shoot, pass, dribbling, defence, speed, power & stamina. 2. Niellender (if that’s his name) body balance is too low. I’m using weight hoping to improve this index of him. Do you think I’m doing right? I just have one big problem. My fanbase is stuck at 79000 and it doesn’t seem be getting any bigger. I’ve played for 8-9 seasons now and collected a LOT of trophies. But I can’t buy any big names if it stays this way! Fan base will grow when you invest more money into it every season. It will also grow when your players win awards such as Player of the Year. These players will attract more fans to the club. 1. I remember reading that the construct is one of, or a combination of the disciplines. If I recall correctly, it is as follows. Some constructs, such as OFF, will increase as your player’s Attack stats increase through the seasons. Not really sure about TAC though. 2. Yes to increase body balance, power/weight training and defence training will be ideal. Any idea on how to allocate focus points? I read somewhere some players rotate the training schedule to develop each area of the team stats. It it is so, how long a schedule should last, and how to allocate the focus point accordingly? Another question: do you know how overall rating of a player is computed? I guess it’s mean value of a number of KPIs depending on which position the that player can play. And then, which KPIs for which position? Thanks for your question. I played around with the focus point system for a few seasons, and generally don’t feel that there is much coding going on behind it. In general, player stats increase over time, more if they play regularly. It is a little hard to tell if Shooting increase more than Passing if I allocate more points to it. Sorry that I cant help much in this area. We probably should not take the overall rating seriously as it does not accurate reflect the player’s abilities in the game. Some players with below 80 rating plays better than those with higher ratings. There is no official release from Konami on how this is done but if I were to guess, it will probably be similar to yours, that it is calculated based on attributes deemed important for the player’s particular. This is probably why we use so many Side Backs having high overall ratings, when most of their attributes are average except for their speed. Sideback – Top Speed & Dribbling Speed is probably the most important. Strikers – Attack, Shooting Accuracy, Kicking Power. These are not official, just a guess, based on observing the top players of each positions and the attributes in which they are strong in. Hello can you swap players in master league or exchange for other ones that you want thanks. Hi Jimy we used to be able to do that in past version but now not anymore. Hi Zed, so I understand that the manager’s face can be relinked but is it possible to change the trainer’s face? I think there might be a conflict in the version of the patch and the PES game. Will you like to try updating both to the latest version? 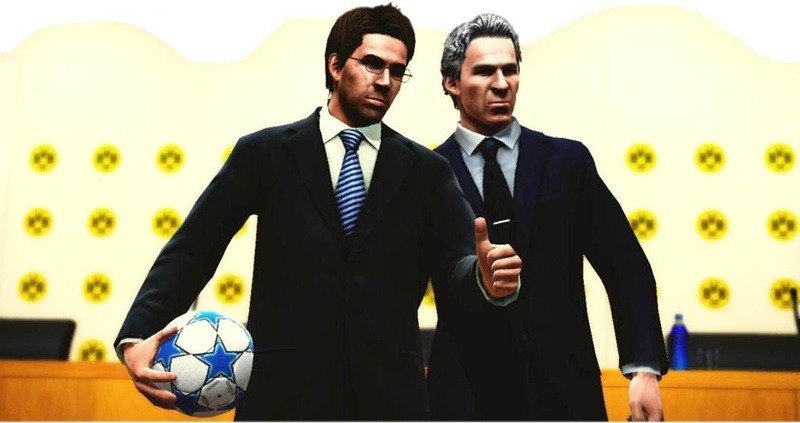 Do you play the new PES2014? 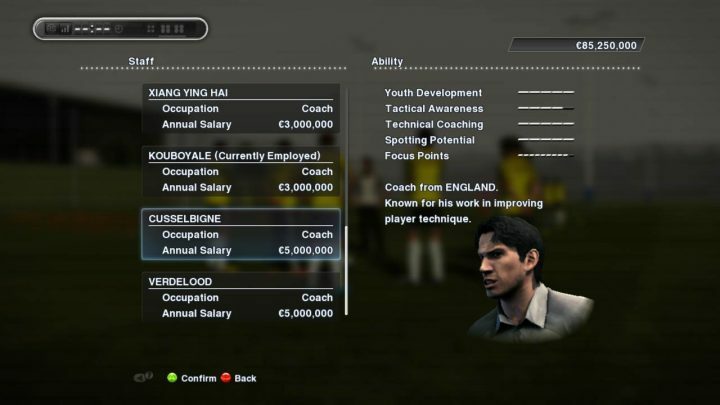 A lot of my players are going into decline although they are still very young. Is it a problem due to my training focus point? I initially had 4 on shooting & speed which meant I reduced on dribbling and stamina. I have since levelled all the focus points equally but still there doesn’t seem to be any difference. 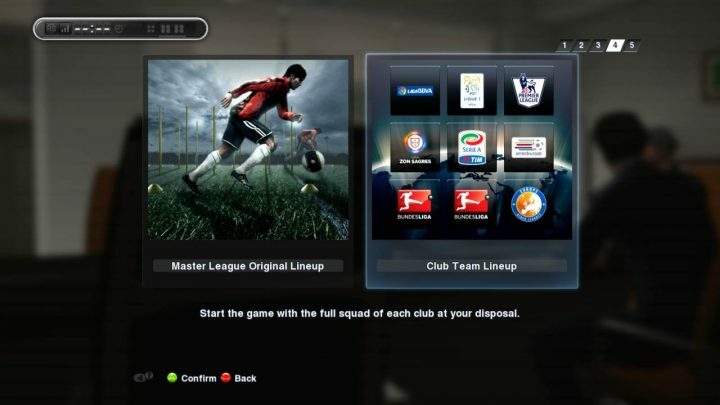 Also do you have any clean link where I could download the patch for PES2014 with the proper names of clubs & full studia? Yes I do play PES 2014. The development curve for each player is different so some players may decline in stats, though personally I have not encountered it so I can’t comment much. I believe that over time, the players you play often will gradually grow in abilities. I guess winning games help too, even though there is no official guide that says so. Thanks for your response zed N! So what have you put your training settings on? I’ve had some place depreciate in rating & I thought it was weird considering they were only 23 & 24 age ranges really. What are your settings for your training? I’m an offensive player really so would prefer my strikers developing quicker than defence without having the defenders depreciating. Yes my training settings are same as you. 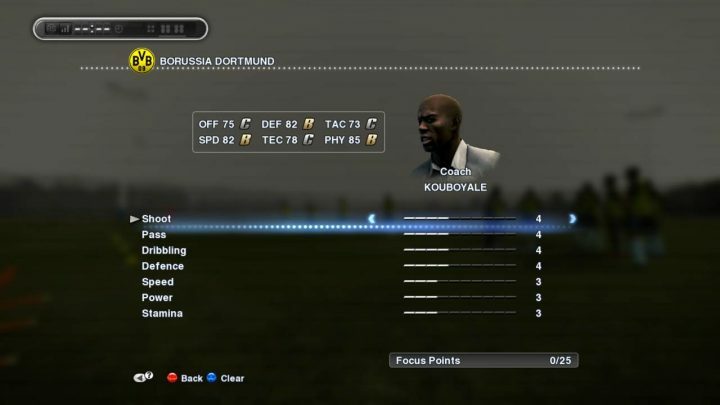 The development curve of every player is different so it is unavoidable that the ratings of some players will decrease. I do not put too much focus on the curve, or the training settings, as the ratings of most players will generally increase over time if you play them often and win matches most of the time. 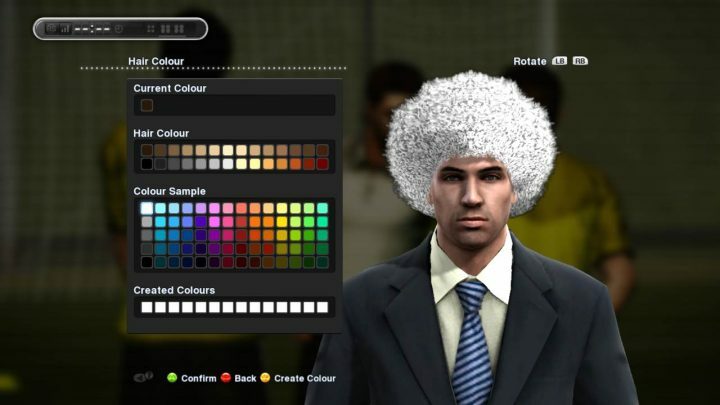 can you tell me which PES patch and pesedit patch version? you sad that you would mention in this post later, but i didn found it. How to increase focus point for the trainning??? I think I am using pesedit patch 1.2. As for the PES Patch, it is the version that comes with the pesedit patch. Ideally you should use the pes patch that comes with the pesedit patch as the pesedit team does a great job at ensuring compatibility between the 2. Can i play master league offline with my friends,something like more users for master league? Unfortunately I don’t think so. You can only play with your friends offline in friendly matches. Hello, i have a qeustion sorry i am not so good in english. I would ask if the patch for disable boots even works on the PS3? You will have to find a patch for PS3. how to adjust the date of Master league? anyone? how to adjust the date in Master League? anyone? And during this period i’ve won every league in first position and more than half of my team members have won international and league Awards every season. BUT my fan club members didn’t increase over 79000. I choose barcelona and my ranking in world is 1 and in league 1too! &and I wining all of leagues &cups! but when I want buy courtios or chec ,chance of signing is 1% or 2%!!!! oh!what I should to do with this f..!?!?!??!?!?! There are 273,943 members in my fan club and still growing,I think this is because i m using a big club and defeating rivals also helps me to increase but i want to ask that is there any method to get consumable items without playing online matches.plz somebody help me. I guess that is rather realistic. Some players just can’t be signed, even by the largest teams. Players like Totti, Maldini and Ryan Giggs are some examples. I didnt manage to play that many years, but I believe the Master League doesnt end, unless your squad falls below a certain number. 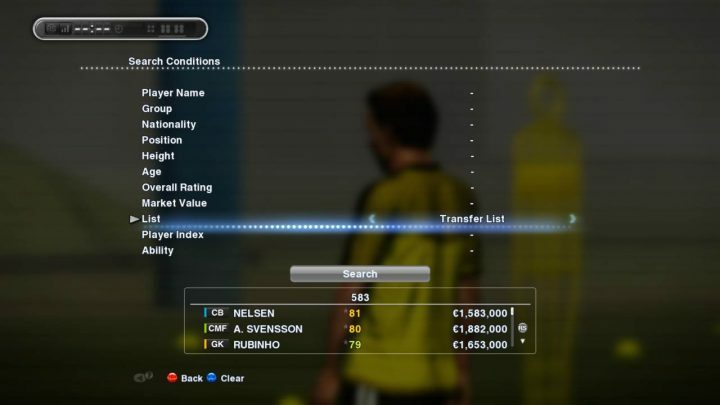 If your finances falls to a negative number, your club will release players until it reaches a positive figure, and this may cause your squad numbers to decrease. Is this the case for you? Fan club members will increase over time as you win more matches. 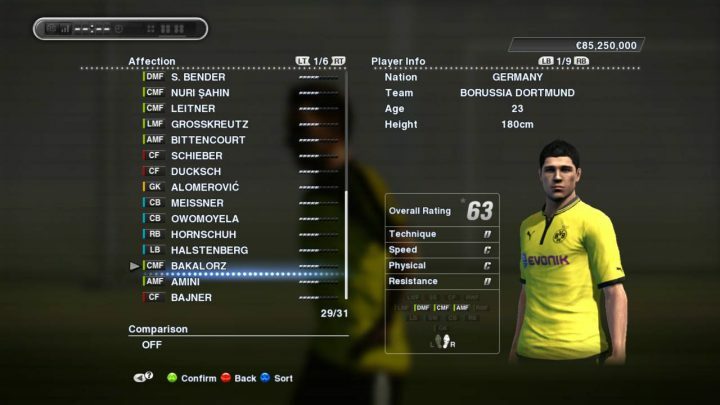 Is there a patch for PES2013 with only real player names? I am playing ML and i’m in 2021. year,and i realy don’t want to loose my progress,but its starting to be anoying whit theese false names. Yea there are. I recommend checking out pesedit patches. Hope this helps!